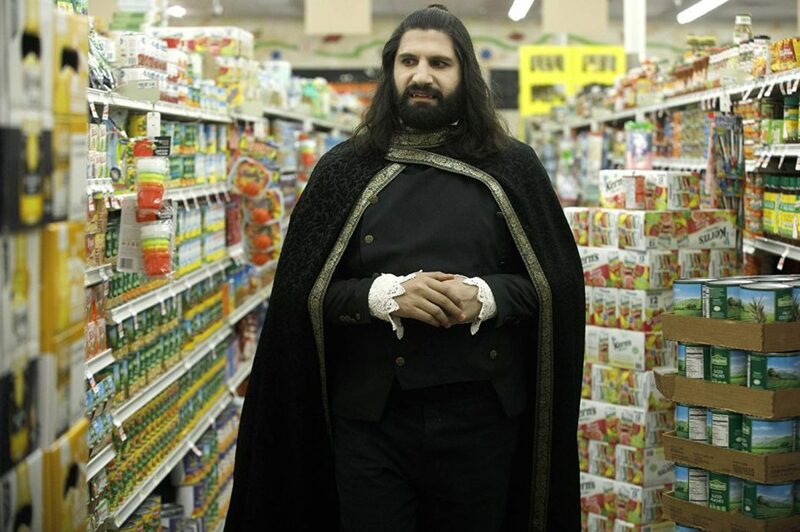 Kayvan Novak seems a little out of place as a 100-year-old vampire in What We Do in the Shadows television series, airing on FX Network. Vampires seem to really be en vogue on television at the moment (at least there’s no more swooning, angsty teenagers identifying as the immortal creatures!). The Passage began this year on FOX (and it’s incredible! ), featuring a different type of vampire and to a lesser extent, Preacher has a cool version of one, while What We Do in the Shadows — a remake of Jemaine Clement and Taika Waititi’s (Thor: Ragnarok) original feature film — will soon showcase an undead comedy that’s filmed as a documentary, or more appropriately, as a mockumentary. That’s really all that’s known about the series, so far, except that the original filmmakers will be involved, with Taika doing some directing, Jemaine doing some writing and both of the men serving as executive producers on the series. Looking at the show’s IMDb page, I’m very excited to see that Doug Jones will be appearing in an episode! Hopefully, he’ll get more than one opportunity to showcase his talents. I’m a big fan of the actor! If Thor: Ragnarok is any indication of the type of undead comedy that’s in store for viewers, I can’t wait to see what will unfold in this small-screen adaptation. FX has really jumped in, headfirst, into genre entertainment, first flipping the superhero genre upside down with Legion and now showcasing some irreverent vampires. Filmed as a 30-minute comedy, the format may be an awkward fit for this series — I was actually expecting an hour-long timeslot. I’m guessing the jokes may be coming fast and furious, as there isn’t a whole lot of time for anything else. Another oddity: There will only be 10 episodes, so I guess we’ll have to wait and see how they’re filmed. If you haven’t seen Shadows‘ commercials popping up everywhere, make sure to click over to FX’s webpage to see it, in order to properly prepare yourself. What We Do in the Shadows premieres on March 27th. I will definitely be checking in to see how these immortal characters live their everyday lives in a modern-day New York.